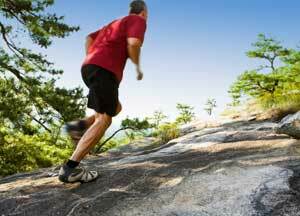 Is it harder to exercise at a higher altitude or lower altitude? Altitude, believe it or not, makes a huge difference when exercising. At a high altitude (Denver, Colorado) the air is thinner and has lower oxygen pressure. This causes the heart to work harder and beat faster to meet the body’s oxygen needs. Shortness of breath, rapid heart rate, fatigue, nausea, and head aches are common symptoms related to exercising at higher than normal altitudes. To prevent or reduce these symptoms, gradually increase exercise intensity over the course of several days. If you are preparing for a hike, race, or other exercise related event at a higher than normal altitude, I recommend allowing your body several days to adapt to the new altitude before the event. Start preparing with a low intensity workout and then gradually progress to more intense workouts. Remember to listen to your body, intake plenty of carbohydrates, and stay hydrated. Your body will tell you when to keep going or enough is enough. Carbohydrates will help fuel the body and will get burned at faster than normal rates due to the increase of altitude and heart rate. Plenty of fluids are needed due to the loss of sodium and water by body’s attempt to acclimatize to the new altitude as well.